Play “Find the icon of Malaysia” online game. Earn over 200,000 points & stand a chance to win. 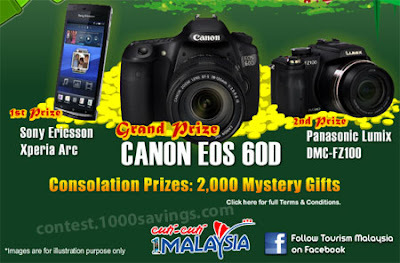 Visit Tourism Malaysia Facebook fan page for more detail.